Mark Lawrenson is backing Manchester City to take another big step towards winning the Premier League title this season by claiming a 2-0 victory over Chelsea FC on Sunday afternoon. The Citizens continued their march towards their first Premier League title under Pep Guadiola by beating Arsenal 3-0 at The Emirates on Thursday night. Manchester City are now 16 points clear of Manchester United at the top of the Premier League table and they look firmly on course to win the title this term. Chelsea FC, meanwhile, head into Sunday’s game on the back of their disappointing 2-1 loss to Manchester United in the Premier League last Sunday. The Blues have dropped out of the top four and Antonio Conte will be keen for his side to get back to winning ways against Guardiola’s men this weekend. However, former Liverpool FC star Lawrenson has admitted that he cannot see anything other than a Manchester City victory against the west London side this weekend. Speaking to BBC Sport, Lawrenson said: “I was at Old Trafford last weekend to watch Chelsea’s game against Manchester United and, for half an hour, Chelsea were very good. “Eden Hazard was dangerous and Willian was outstanding, but they quickly fell away and the second half was very different. “I have also never seen a centre-forward fall over so much without any contact as Blues striker Alvaro Morata did. It was incredible – and exasperating – to watch. “I backed Manchester United to win that game because you cannot rely on Chelsea anymore, and the same goes when they face City at Etihad Stadium too. 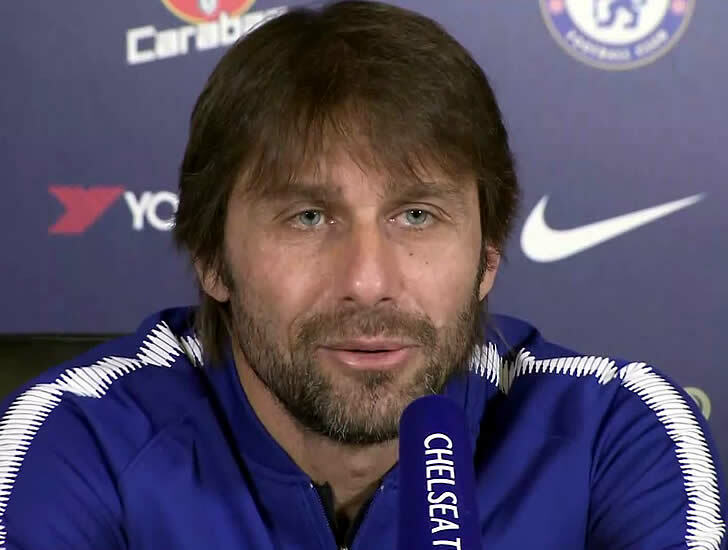 “Antonio Conte’s team did not look great defensively and I don’t think Thibaut Courtois looking like the outstanding and commanding goalkeeper he can be, either. “That does not bode well for a trip to the Etihad. “Manchester City have their first trophy in the bag after winning the Carabao Cup and I think it will kick them on as they look to secure more. Chelsea FC won the Premier League title in style last season but they are currently in fifth place in the top flight table in Conte’s second campaign in charge. Finishing in the top four this term will be the minimum requirement for Conte this term.